Digital literacy is super important; yet I fear the term digital literacy is kind of tossed around without a real consensus of the true meaning. Is it computer science related? Social networking etiquette? Internet safety? Online research skills? All of the above? Well put, Wikipedia! These skills of evaluating and creating are crucial components of the Common Core (for example, CCSS.ELA-Literacy.CCRA.R.7: Integrate and evaluate content presented in diverse media and formats, including visually and quantitatively, as well as in words.). It’s not just evaluating a website for credibility, it’s determining the source of an online photograph; it’s making sense of a YouTube video; it’s putting comments on a news article into an appropriate context; and it’s determining bias. It all sounds very daunting to teach these skills, but it’s really not – these skills should be embedded in everything we teach. So we’re not really cherry-picking specific strategies, facilitating a one-day lesson and calling it a day (although it might be a good place to start – maybe try a website analysis lesson?) – these digital literacy skills should be built-in to most classroom activities. We need to model to students appropriate skills, because whether we like it or not (and whether students are doing it well or not), students are getting all of their information online anyway. The medium in which information is shared evolves quite rapidly, and educators have to keep up. We must keep up. 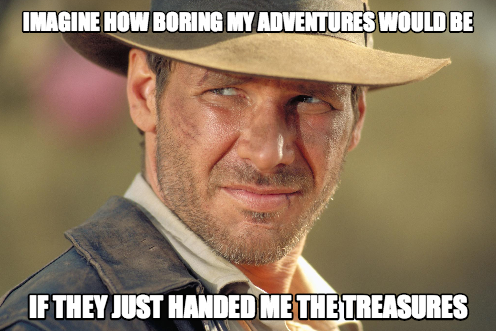 If we’re not keeping up with digital and social media trends, then we aren’t doing our jobs. Here’s an easy way of spring-boarding your class into the bold world of digital literacy and analysis skills – photo analysis. I’ll be using a historical picture from the early 20th century, but the ideas/methods in this lesson can be applied to any subject. 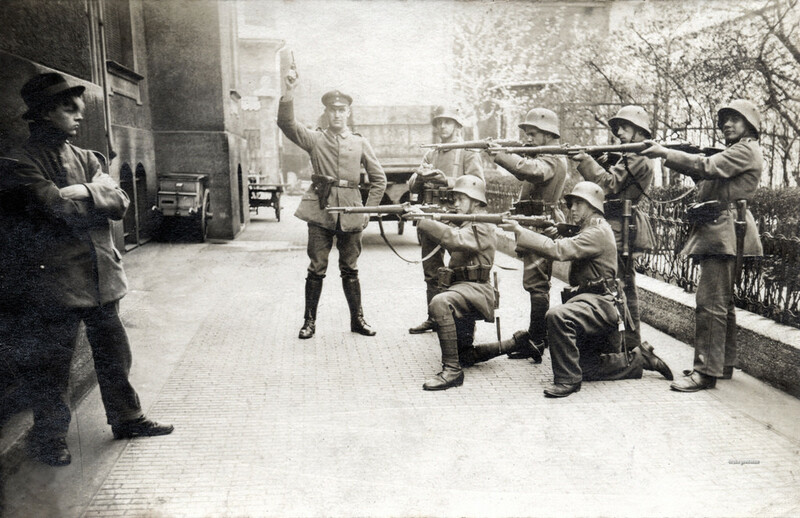 This picture was allegedly taken in 1919 and is entitled “Execution of a German Communist in Munich, 1919” – tell your class you found it online and wish to assess the validity (I found it as this site, but you don’t have to divulge your source). Begin in an open-ended fashion – “what are some striking specific details in this picture?” Fire up Today’s Meet, throw it on the projector, and allow students to type their thoughts for the class to see. If you’re using an iPad, perhaps use an App like Doodle Buddy and have the students mark their observations and then beam to the projector using AirPlay. Students might note the defiant stance of the communist, the proximity of the guns (would the bullets bounce off of the walls at that distance? ), the gunman on the right looking at the camera, the fingers not on the triggers, etc. Allow time for discussion – ask the class whether or not they think the photo is valid. “Is this photo real, or was it staged? If it was staged, who would stage it?” What’s the proper procedure for an execution? Students can Google the answer and share their results – pull up the website where students found the execution procedures. “Is that a valid source?” Lead the class through a critique of the website. Assume that the photo is staged – who would stage it? The German government, or perhaps the communist party? Would the German government want to release a picture that shows the communist in a defiant and nearly heroic pose? Instruct some students to research German and Communist propaganda from the 1910/20s, collate their information into a Google Presentation/Movenote and be prepared to share it with the class. But where did the picture come from? Can we determine the source? Demonstrate to students the skill of searching Google images by using a specific picture – it’s a pretty neat trick, indeed. How many, and what websites host this picture? Can students find the specific source of this picture, and can the source be trusted? What possible bias might the website have? Are any of the websites hosted in Germany? What do German websites say about this picture? Have a group of students search by the German country code (site:de), translate the page using the Chrome translator tool, and report their findings. Previous Post Connect with authors, guest speakers and classrooms – for free! Next Post Curse of the “Tech Guy” in the Room!